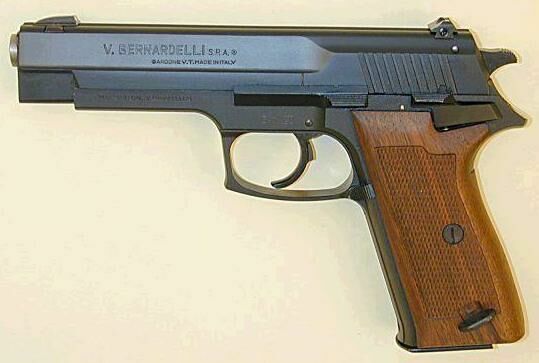 The italian firm of VINCENZO BERNARDELLI SPA released between the '70s and the '80s the PO-18 series of semi-automatic firearms for the military and law enforcement market. The standard version had a 4" barrel, and fired the .9x19mm-Parabellum ammunition feeding from a double-stack column 16-rounds magazine.<P> A law enforcement compact model, with a 12-rounds magazine, was also made, called PO-18C. 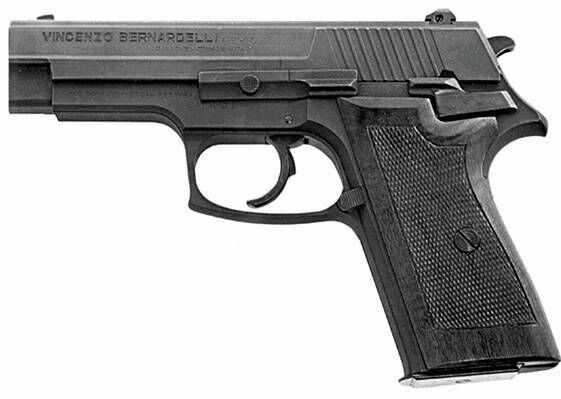 Due to the restrictions of the italian laws, which don't allow the .9x19mm-Parabellum caliber to be fired by civilians, a market model was manufactured under the name MODEL P1. The MODEL P1 had the same features and the same magazine capacity than the full-size PO-18 model, only it was available in either .9x21mm-IMI and 7.65mm-Parabellum (a.k.a. the .30-Luger).